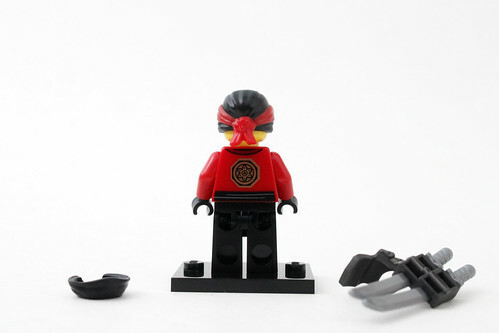 The LEGO Ninjago Movie comes out in less than two months and I’m kicking off my set reviews with the Spinjitzu Training Dojo (70606). 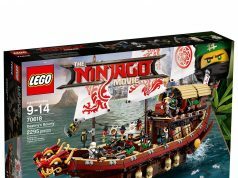 This is the smallest set in the wave coming in at 109 pieces and retailing for $9.99. Kai has a red training robe with some nice printing on the front and back. There is some letters on the robe which says FIRE. The legs also have some red printing designs as well. He has a double-sided head with and a nervous smile on one side and an angry look on the other. Some new pieces that Kai has are the double katana harness and the two piece mask. 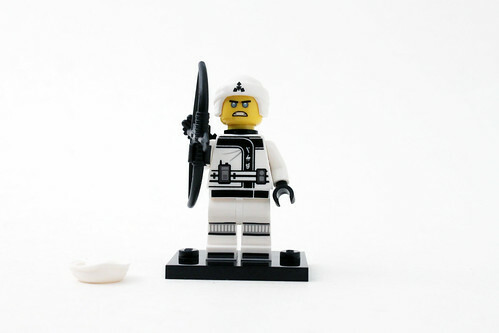 Zane comes in with a new white and black outfit that has a cool techie look to it. There’s letters across the chest that says ICE as well as some printing of some communication devices on the waist. 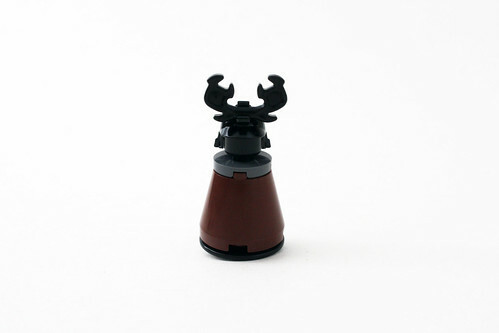 His accessories include a quiver on the back and a bow and arrow piece. 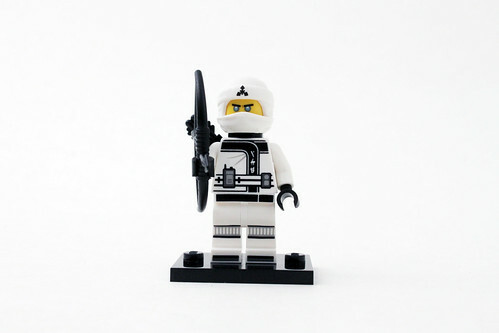 He also comes with a two piece mask as well. His facial expressions include a very happy smile and an angry look. 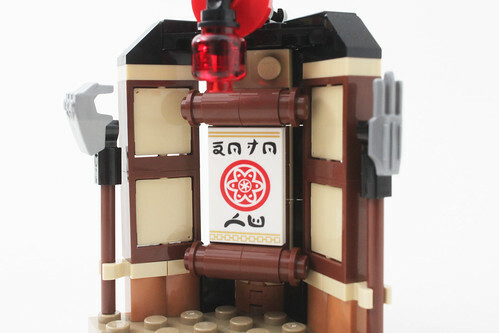 The build has made up of some things you will set in the training dojo. 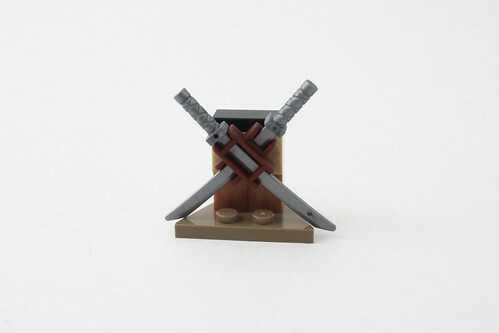 First is the katana weapon rack that has two swords. Nothing too complicated here. Next is the wooden training station similar to what you see martial artists use. It’s a good representation of the real thing. 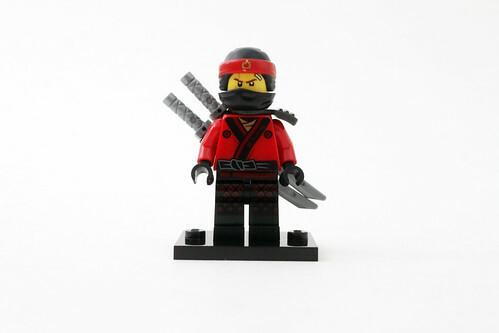 Finally we have the Garmadon combat dummy which is basically an inflatable punching bag. 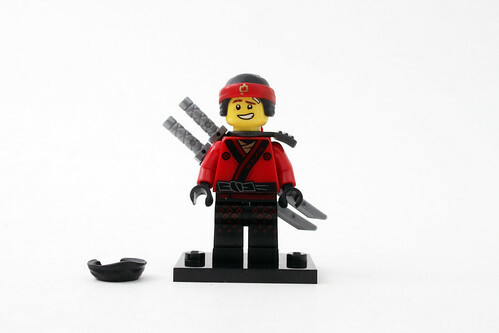 The top of it has black head wearing Garmadon’s helmet and the bottom part has a pin at the bottom to make it wobble around. 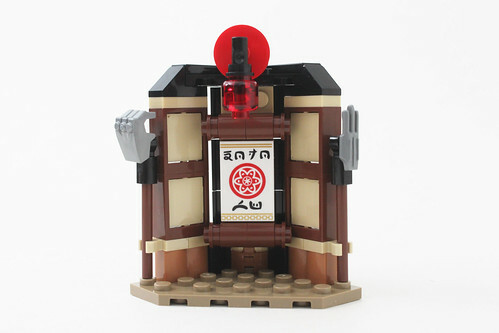 The larger part of the set is the dojo wall which has a printed 2×3 scroll in the middle that says DOJO WU. There are also two staffs attached on the outer edges, one with a fist and one with a claw. The top of the wall has a red lantern with a trans-red head piece. 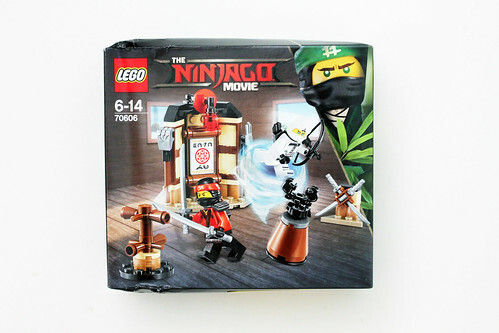 Usually the smallest set of a certain wave isn’t too spectacular but The LEGO Ninjago Movie Spinjitzu Training Dojo (70606) is not too bad of a set. 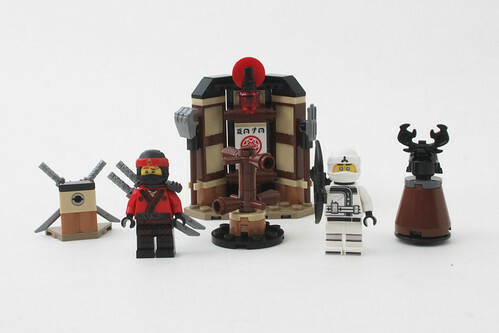 You get two of the ninjas along with a variety of little builds. I didn’t expect too much and for $9.99, I would say this set is worth it especially since this is the cheapest way to get Kai and Zane in these outfits.